Recently I tweeted out asking what you think is wrong with MLS. I got a plethora of responses. Some were well thought out and some simply ranted and moaned without being realistic. I thought I’d address some of the more thought out ones. Number one on my list was a follow up to my previous thoughts on Jurgen Klinsmann. Dont forget to share your thoughts on twitter or below. Now, here's what I'm thinking. Jurgen Klinsmann in as coach. I find this change to be a positive one… Not necessarily because I think Klinsmann is the messiah of U.S. Soccer, but rather because he’s new. Bob Bradley was not some horrific man who drove the national team to damnation and boredom. In fact, Bradley’s track record is actually pretty impressive. Amongst winning his World Cup group, winning a Gold Cup and making it to the final in Confederations Cup, he has also scheduled high profile opponents. No longer was the United States defeating Jamaica and celebrating it. In fact, they were taking on the Argentinas and Spains of the world. 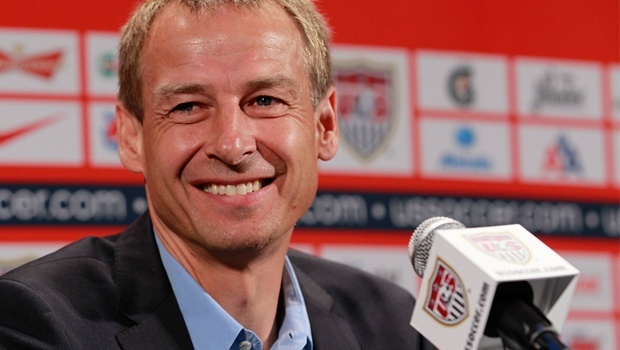 Now, despite your thoughts on Bradley, you should be excited for Klinsmann to be in charge of the program. With him he brings a new plan and a new idea to mold U.S. Soccer. That new energy will motivate players and give those scorned a chance anew. Think of Jose Fransico Torres, Bobby Convey and perhaps Freddy Adu. It’s players like these who will get a fresh start with less preconceptions. Further more Klinsmann brings European and World Cup experience to the table along with attacking experience as a player. These things are all new to the program. It could certainly be worse. New England. What is wrong with New England? Everything. Not only does the Kraft family make silly financial decisions and refuse to economically support the team, but there is almost no progress made on the stadium front. Gillette is a cavernous beast that swallows those few and proud Revolution fans who have dedicated themselves to the cause. Further more, the team has just signed its first Designated Player. 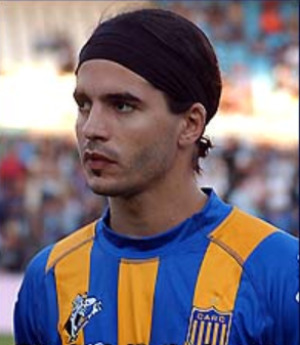 Milton Cargalio is an Argentine striker a who is only a brash 22 years old. I am a supporter of signing young DP’s as it gives exposure and vibrance to a league that, at one point, looked like a retirement league. However in the case of Milton Cargalio, we have an unproven youth who is suffering from an ACL injury. Couple the injury with the fact that, when playing, his record with Rosario is an embarrassing11 goes in 49 appearances from 2007-2010…extremely unimpressive. Bottom line here: the Revolution are taking a huge risk with Cargalio as their first Designated Player. 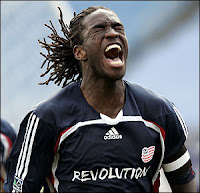 Considering in the past Revolution fans have been treated to talents like Twellman, Dempsey and the soon departing Shalrie Joseph. Cargalio cannot look but so promising. In fact, he doesn’t. Speaking of Shalrie Joseph; he mentioned via twitter that he would be departing the Revolution at the end of the season. All I have to say is this: godspeed. Joseph has been the bright spot on a roster of mediocrity. The Revolution have limped along since their prime in the mid-2000s. Joseph has lifted the team by playing every single position with the exception of goalkeeper. Consider also that at one point, EPL teams inquired to his services. It certainly begs the question of why Joesph was content to remain with the team at all. Regardless, the move forces both parties to grow and make new choices. That is a good thing. Shalrie Joseph needs a change. When it comes to refereeing the match, there is no person on Earth who can please everyone. However it is possible for Major League Soccer to take steps towards accountability and clairvoyance. Why not? MLS could pioneer referee reform. Salary Cap. Many fans enjoy lambasting this aspect of Major League Soccer but it is a necessary reality. The old NASL (not the current iteration) failed due to overspending and the various entities failing to spend responsibly. As it is, with the relatively new player agreements and many teams finding monies in all sorts of places to pay for their DP’s, a salary cap forces teams to consider options and avenues. This is something to be frowned upon. At present, there is more money available than ever for the league and it grows each year. Some teams spread the money out and keep a pretty even team like Real Salt Lake while others choose to invest in one or two. At the moment, there is no clear right answer. Yes, the salary cap is low when compared to other leagues. Still, it forces teams into a level playing field, which increases competitive play. There are many pros and cons to this and I’ve barely scratched the surface. This should however put talking points in your brain. So what’s on your mind? The growing trend of diving in MLS? Is it actually growing? How about the growing number of sponsors throughout the league? Bothered by the low attendance at league performers like FC Dallas or Columbus? Share your thoughts below.